Honey is something we tend to think of purely as a food, but it has actually got a great number of health applications beyond simply being a healthy, natural sweetener with a distinctive, delicious taste. Because honey literally never spoils due to its antibacterial properties (there has even been honey found in ancient Egyptian tombs by archaeologists which was analyzed as being completely edible, and this is thousands of years old! ), it is a great thing to keep in your emergency first aid kit or medicine cabinet, too! Here are four medicinal uses that will have you asking ‘where can I buy raw honey?’ right now! 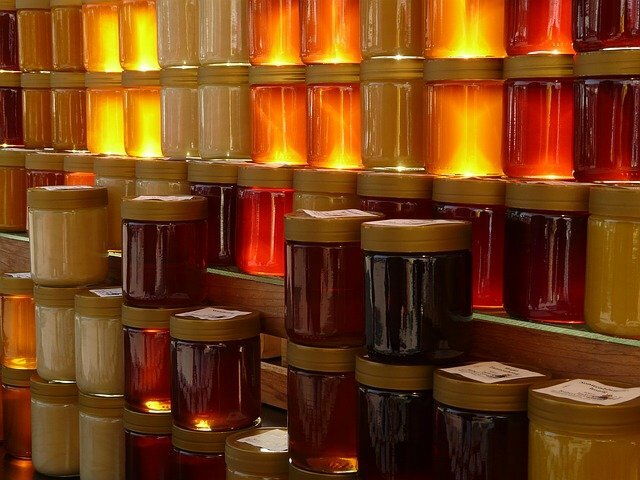 If you have any kind of sore throat, whether it is due to an infection, a cold, or because you have overused your voice, honey will offer instant relief. Simply swallow a spoonful to coat your throat, and repeat whenever needed (it is just honey, so you don’t have to worry about dosage like you do with throat syrups containing honey along with other medicines). Professional singers swear by honey, and add it to all kinds of drinks to keep their voices from getting tired out after hours of practice and performance! Honey can be a very helpful first aid treatment for burns (minor burns that do not require professional medical attention). Honey is antiseptic and will keep the burn from getting infected, and is easy to apply with minimal pain to the burned area. Apply the honey as it comes, then put a dressing over the top and change it every day while the burn is healing. The small amounts of pollen in honey can help you fight hay fever, by building up a tolerance. The trick here is that you must use locally produced honey, so the pollen that ends up in the honey is the same pollen that is causing your symptoms and which you need to build up an immunity to. Many people have had very good results from regularly eating local raw honey, and it can mean you no longer have to rely on strong medicines like antihistamines throughout the pollen season. Honey has been used for centuries to prevent infection in open wounds and lesions, even before people understood how infections were caused! Now of course, we know that it is the antibacterial properties of honey that make it work. Keep some honey in your first aid kit whenever you are out and about, and should you, your kids or your pets get into any scrapes, you can easily protect the wound with some honey. As with burns, just put it on the skin and add a bandage over the top. On a pet it may be harder to dress the wound, and depending on where it is they may lick the honey off, but licking wounds is how animals naturally clean them, so this is not a problem – just add more honey every few hours. As you can see, honey is for more than just eating, and can be a versatile addition to your medicine cupboard or first aid box!